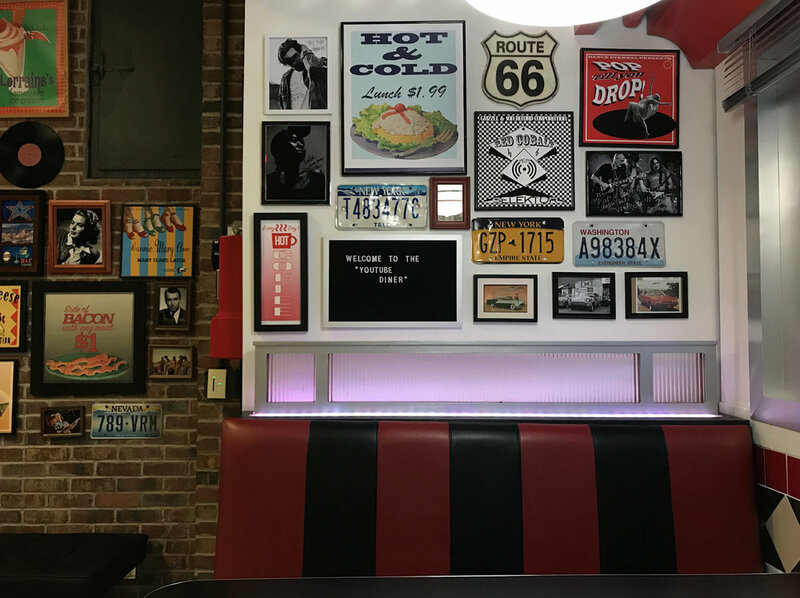 For this YouTube Diner Space we gave it an exciting, bright new refreshing look. 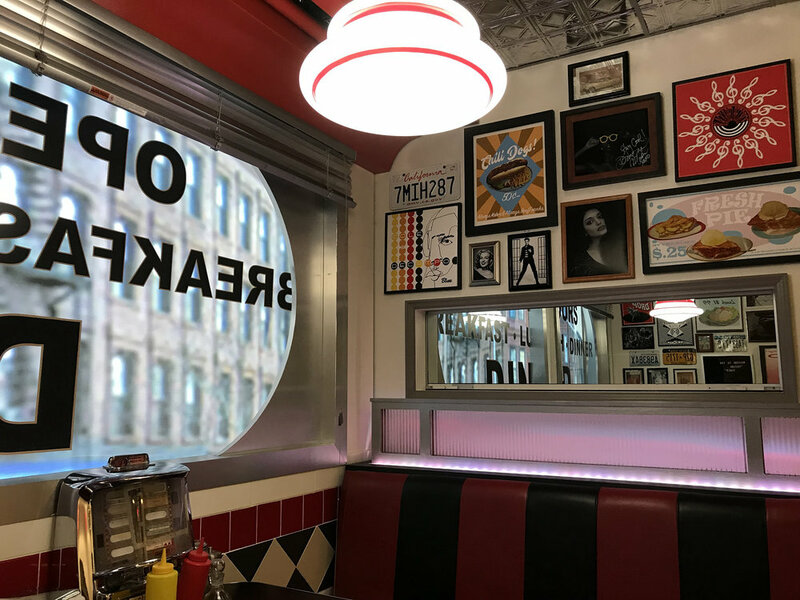 We incorporated classic diner details with diamond tin ceiling and walls, red accents, checkered tile and flooring with pendant lighting. For decor we covered the wall with a classic mix of autographed photographs, memorabilia, street signs and license plates, giving the space an old Americana feel.